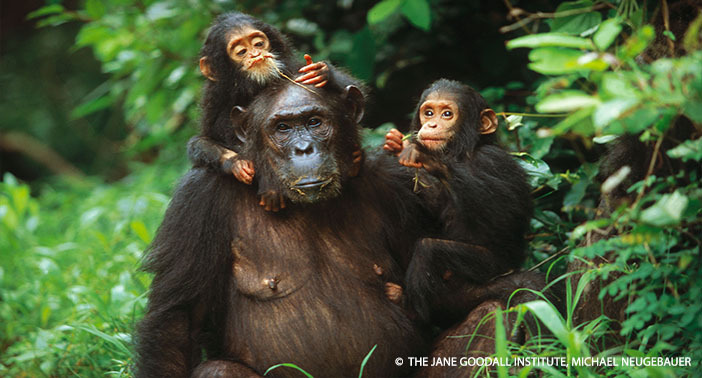 You are at:Home»Seriously Good For All»Research in Gombe is OFFICIALLY Guinness’ Longest Chimp Study! The research of our founder Dr. Jane Goodall is legendary, as her fascinating and trailblazing discoveries on the lives of wild chimpanzees in Gombe, Tanzania shook the foundations of the scientific world – but the story only started with Jane! Research in Gombe has been going on since the early 60s, when Jane helped the world better understand our relationship and similarities to our closest living relatives. That research, for over 58 years and counting, has continued and evolved, and is now Guinness World Records OFFICIAL! JGI’s research in Gombe is the Longest-running wild chimpanzee study on the planet! Dr. Goodall’s studies in Gombe have produced some of the most transformative insights into the animal kingdom, including the realization that chimpanzees make and use tools – something previously thought to be exclusive to humankind. Nearly 60 years later, with more than 165,000 hours of observational data collected, JGI researchers and scientists from around the globe are still bearing witness to major discoveries in Gombe, a UNESCO Biosphere Reserve. Perhaps most impressive, the studies have followed generations of families stemming from the original and beloved F and G groups that Jane came to know so well. 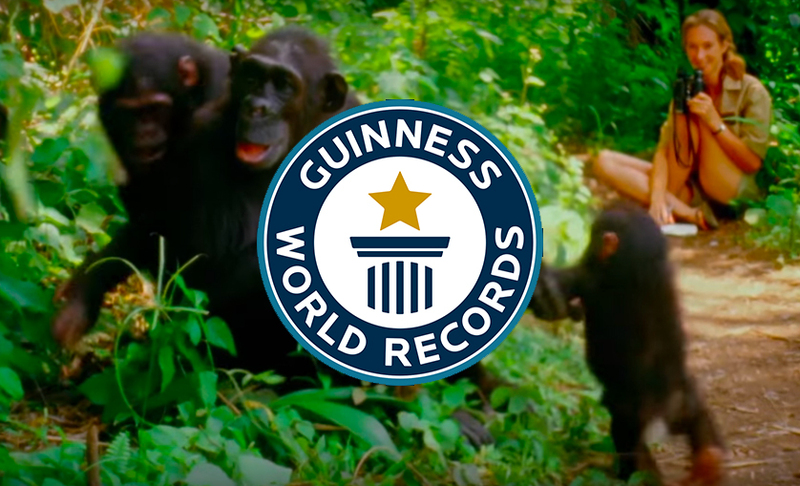 The “B Record” as it’s called, is a living research record of the incredible things we’ve been able to observe over lifetimes of chimpanzee groups and families, and all we continue to learn today. 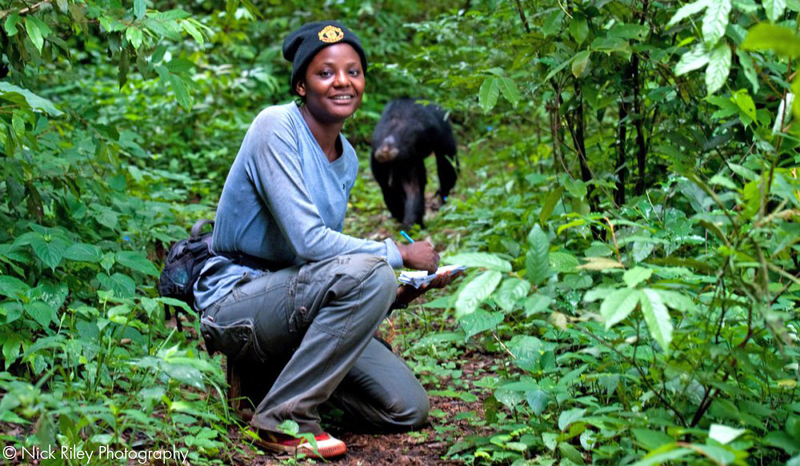 The work of the Jane Goodall Institute also extends far beyond Gombe, with many other programs across the chimpanzee range, and around the world. 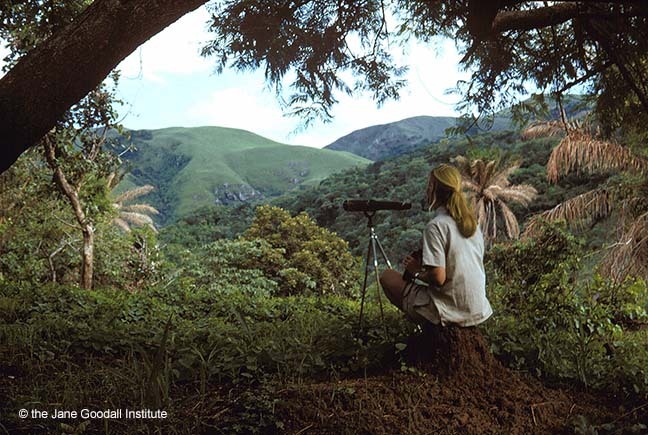 After Dr. Goodall opened the research station in Gombe, she began to see firsthand the increasing threats to the chimpanzees and their habitats in Tanzania and across Africa. In 1986, greatly impacted by a Chicago conference on the state of chimpanzees, Jane left field research to become an activist. JGI, now celebrating over 40 years of work, is a community-centered conservation organization intended to address the threats to great apes and their ecosystems head on by working in collaboration with local people. As Jane describes, “These are holistic programs that include suitable farming operations that do not destroy the soil, restoring fertility to overused farmland, shade-grown coffee, better health facilities and better educational facilities…” and are done in partnership with local communities. Previous ArticleJGI’s Tchimpounga Sanctuary Chimp of the Month: Gui! Next Article Do Chimpanzees Know How to Say or Show ‘Thank You’?